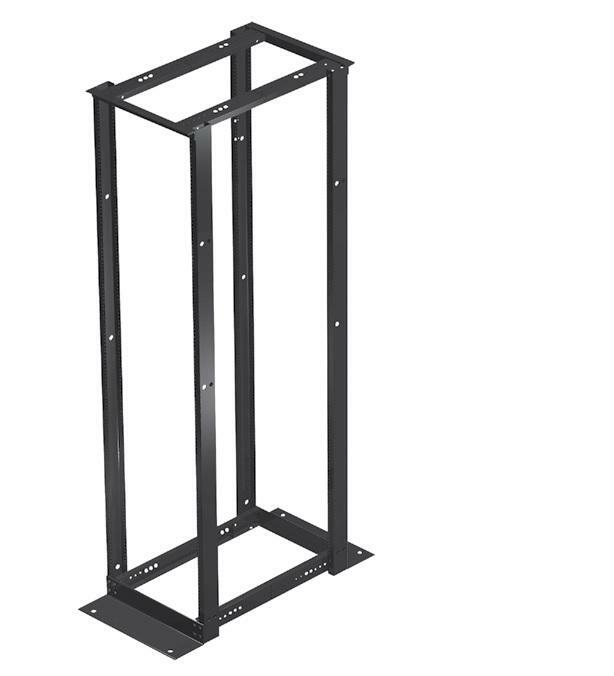 Designed for use in communication data centers and telecommunication rooms, 2-Post Open Frame Racks satisfy basic functional requirements for structuring cable. 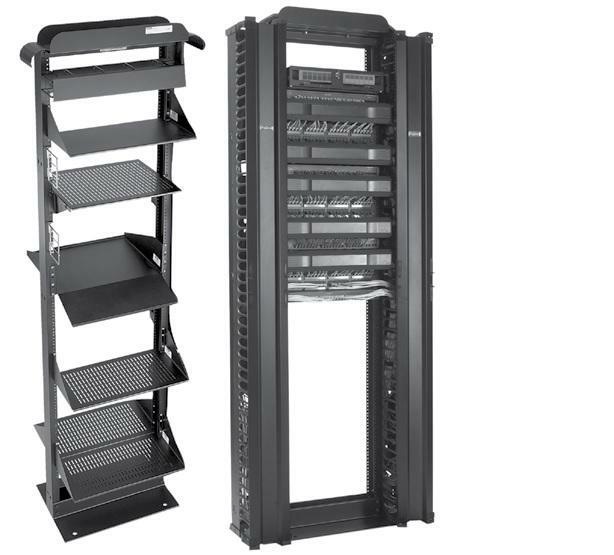 Racks are available in 3-in. or 6-in. column widths. Black Finish. 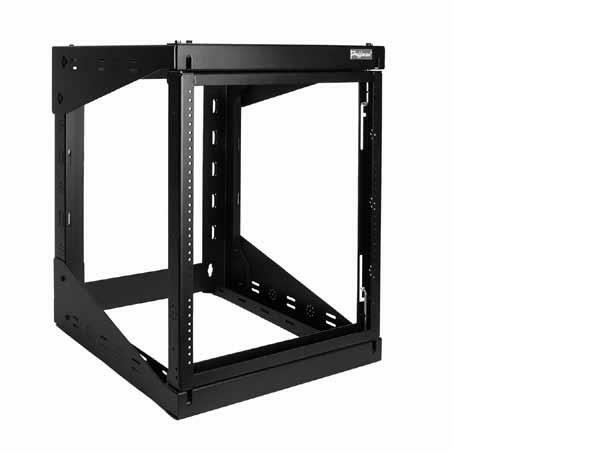 Nominal Frame Height - 7 ft. 45 Rack Units. The QUICK TRAY PRO cable tray routes cables through unused space while keeping them accessible for easy maintenance. Combine components to configure a system that meets application requirements. Made of high-strength 5 - mm or higher gauge steel wire. T-weld top wire. 2 x 8-in by 10 ft. Straight Section. Pre-galvanized. The L-Bracket Kit supports power or other cables that need to be separated from the main cable run. Made of steel with a painted or plated finish. Mounts onto ladder rack stringer. Includes mounting hardware. Plated. 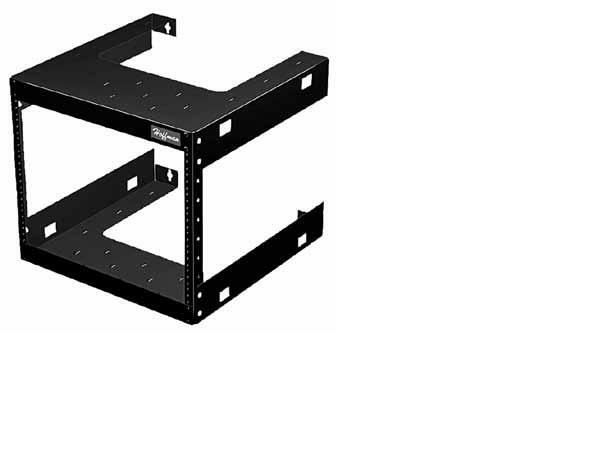 Connects two straight ladder rack sections at a 90-degree angle. Made of steel with a painted or plated finish. Each kit connects one section to another. Includes mounting hardware. Black. Includes one section of straight ladder rack and everything needed to fasten the ladder section to an open frame rack and to the wall. Ladder is 54-in. long by 12-in. wide. All parts have a black painted finish. 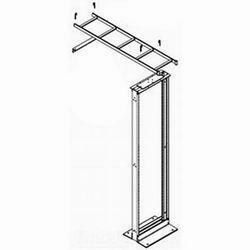 Order open frame rack separately. Mounts over ladder rack cross member to provide bending radius when dropping cable. Includes cable spools to separate cable and all mounting hardware. Made of extruded aluminum. Black. 12.00 in. Supports ladder rack from ceiling. Components available separately or as a kit. Six-foot-long, 5/8-in. diameter rod is threaded for easy tension adjustment. Made of plated steel. Requires surface mounting hardware (not included). Plated. Rack Runway Brackets(10) 5/8-in nuts(20). 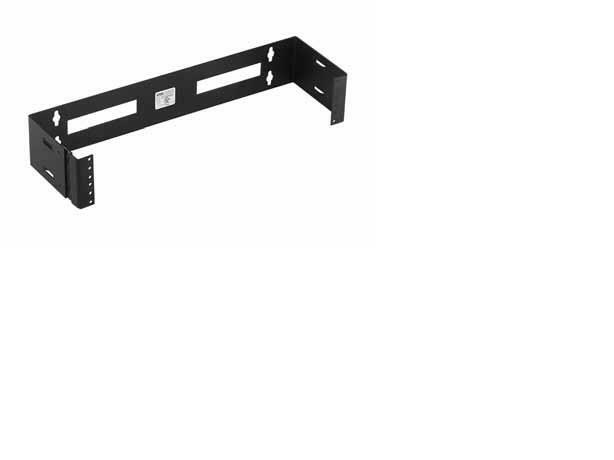 L-Brackets mount directly to wall for overhead mounting. Corrosion-resistant plated finish. Fasten QUICK TRAY PRO to bracket with one QTPSSW3/QTPSSW3BLK Splice Washer and one QTPBNWK/QTPBNWKBLK Splice Kit on sizes up to 8 in. (203 mm); use two on 12-in. (305-mm) trays. 4-in. L-Bracket. Pre-galvanized. The L-Bracket Kit supports power or other cables that need to be separated from the main cable run. Made of steel with a painted or plated finish. Mounts onto ladder rack stringer. Includes mounting hardware. Black. Economical solution for banks of small networking equipment. Integral VELCRO cable tie down slots facilitate cable routing. 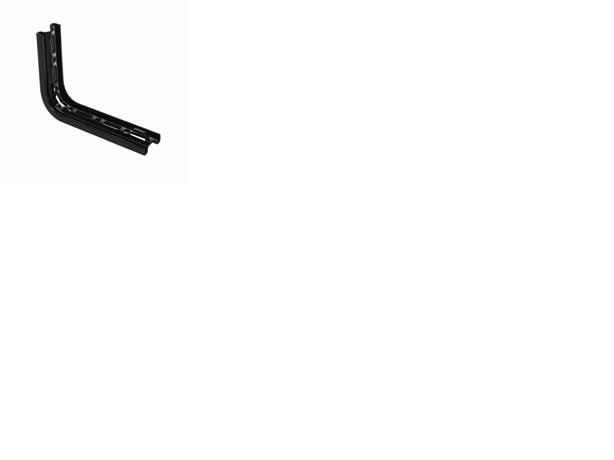 Made of 16 gauge steel, finished with RAL 9005 low gloss black polyester powder paint. Shipped in four easy-to-assemble sections. 12 Rack Units. 23.00 In. 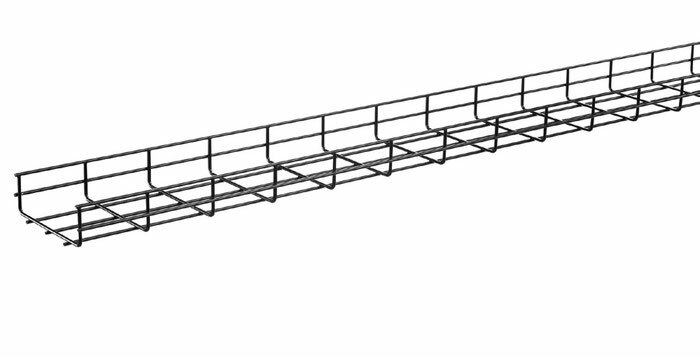 Joins straight ladder rack sections, inside and outside bends, and 90-degree horizontal e-bends. Each kit connects one section to another. Includes mounting hardware. Black. ACCESSPLUS II Cabinets provide security, equipment access, cooling and support for network and other 19-in. rack-mount equipment. The cabinet has three components: front door, center section and wall section. Standard Product with Window Door. 12 Rack Units. 23.6 x 23.6 x 25.1 in. The QUICK TRAY PRO cable tray routes cables through unused space while keeping them accessible for easy maintenance. Combine components to configure a system that meets application requirements. Made of high-strength 5 - mm or higher gauge steel wire. T-weld top wire. 2 x 12-in by 10ft. Straight Section. Pre-galvanized.